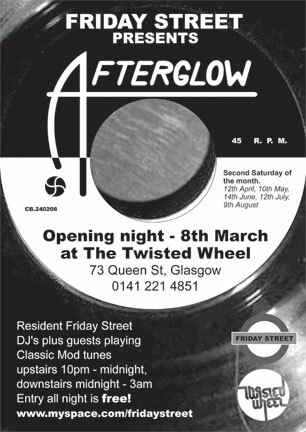 The team behind Glasgow’s Friday Street are reviving their Afterglow night after an absence of a couple of years. It kicks off at The Twisted Wheel in the city on 8th March and admission is free. All the other details are on the flyer above – otherwise, check out the link below for more information.